As a practicing trauma surgeon and educator, teaching our students it is not always easy; it can be hard at times, to find the right balance between “theory & practice” , between what they know and what they are supposed to have learned already. I know that for them it is a struggle and an obvious source of stress and anxiety. Medicine is a very complex and always evolving field, and time is never enough, to read, learn and practice what is necessary, to the level of excellency that is needed, given that the core of the matter is the care of a fellow human being. One of my strong interests is Technology, specially its useful application to making our work in Healthcare and Medical Education more efficient, safer, less expensive and overall, better than what it is. Since my early days as a student and then faculty at Exponential Medicine ( a must-attend healthcare event, if you are a provider, a patient, or simply a human! ), I’ve become convinced that it is the smart integration of technology and not the technology itself, what really makes a tangible and meaningful difference. There’s is so much work to do and the status quo is really deficient, yes, very deficient in both medicine and medical education today. I’m always in search of ways to improve the overall quality of our work. One of the platforms that I have been heavily involved with are Virtual, Augmented and Mixed Reality . 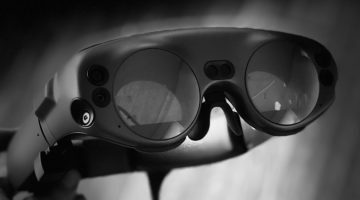 I’m absolutely convinced that they represent, as Robert Scoble from UpLoadVR puts it: the “Fourth visible user interface of the personal computer era”. “The first was character mode. MS-DOS. Now, in Medical education, this interface allows the user to really immerse and interact with the content in ways never thought possible before. Even when studying anatomy or physiology with real human bodies or tissue, the capabilities are very limited and the costs ( monetary, ethical, etc.) are fairly large and in many settings, prohibitive. An obvious possible answer to this question is the Microsoft Hololens . This revolutionary device is a head-mounted computer which displays Mixed Reality content, allowing the whole physical world to become your touch-screen. 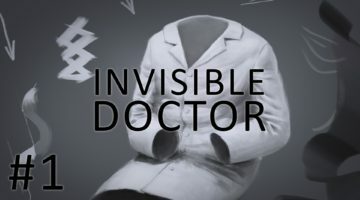 For several weeks, I have been exploring this amazing device, and in-depth trying some of the official and beta “apps” developed with healthcare and medical education in mind. HoloAnatomy , from Case Western Reserve University, which I had the privilege to try for the first time at the MIT Media Lab during a mentorship I was offering there last month. This represents a new era in the process of teaching and learning; a true revolutionary tool that will allow the better and best formation of the new generation of physicians. This is only the “tablet’ version. 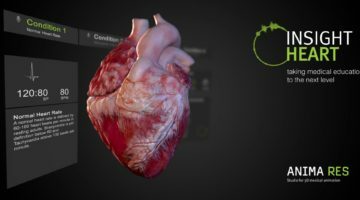 The actual HoloLens application that I’ve tried is an exponential leap from that, a holographic, totally immersive and interactive exploration of the human heart and its most common medical conditions. Really, a revolutionary platform to interactively learn about human disease processes. Never before was learning made so easy. A true example of the smart application of technology! After watching and experiencing what these platforms can do and how quickly they have developed, I have no doubt that we are just barely scratching the surface, only seeing the tip of this iceberg that is Healthcare and Medical Education applied technology. I effusively applaud and congratulate these revolutionary pioneers and hope that they will find inspiration, will and means to continue their amazing journeys, for the benefit of us, medical providers, students and especially patients, the whole Humanity itself. I formally commit, and really hope, to be able to collaborate and be an unofficial resource at any time, learning from them and humbly sharing my experience and insights as a clinician, “technophilic” thinker and innovator.